Pacific Wings UK correspondent Peter Cooper gives his view of the new PAC 750XL from New Zealand, which graced the static park at Farnborough International 2004. 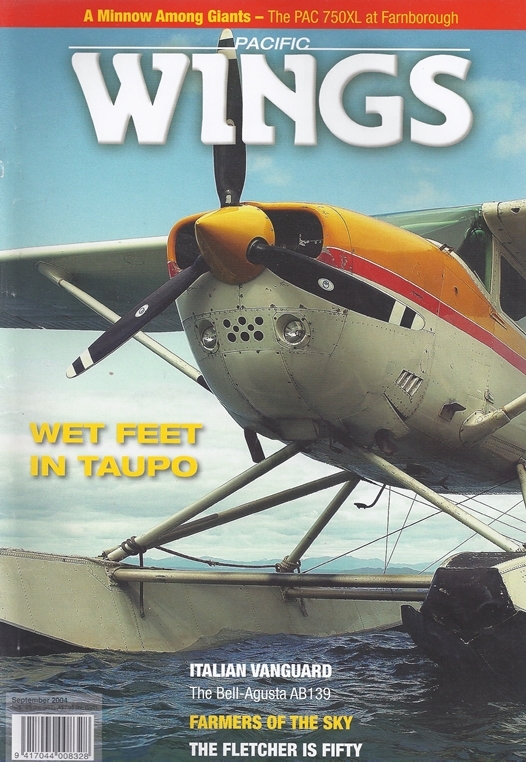 Pacific Wings correspondent Rob Neil meets Neil Kemp - chief pilot and operations manager of Taupo's Floatplane - and discovers there is much more to flying and operating a floatplane than meets the eye! Andy Heap's photo-essay of one topdresser's day at the office.